Cover $20 or by donation at the door only. 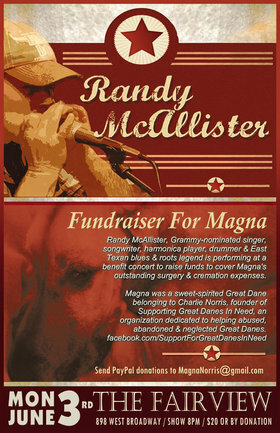 Randy McAllister is a Grammy-nominated singer, songwriter, harmonica player, drummer and East Texan legend of blues and roots. Roustabout, maverick, spiritual, gritty, wild, soulful…these are some of the words used to describe this Texas bonafide blueblood. 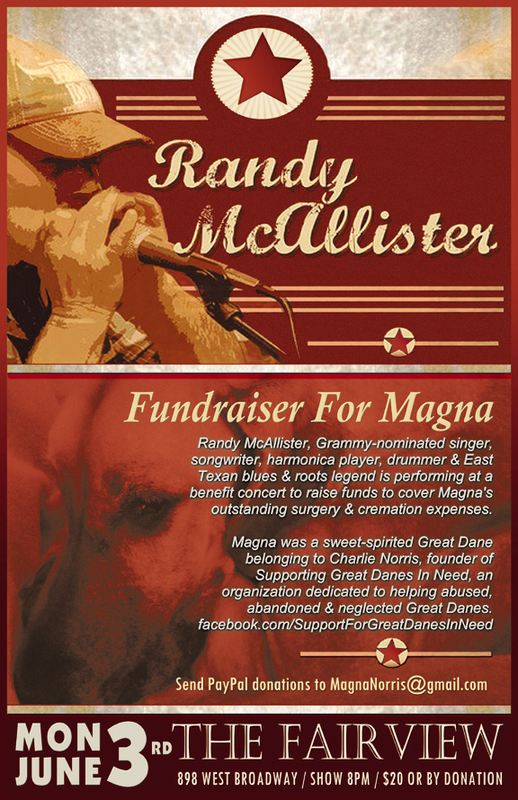 One of the most versatile bluesmen in Texas, Randy sings like no one else, writes incredible songs and plays world-class harmonica and driving drums.